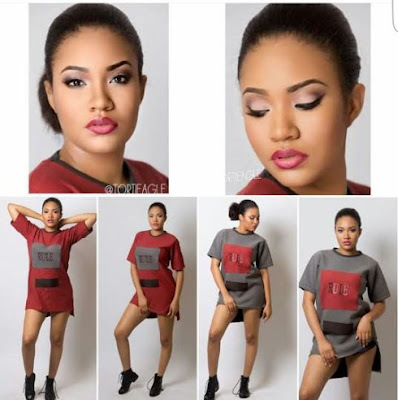 Flavour's Baby Mama Anna Banner in stunning new beauty photos.. Trying to remind us she was indeed a beauty queen before any other thing! But this photo below.. was there a need to get close to showing us her..?? If that top goes up any more inches,we will be staring at your cookie darling! She's sure one very beautiful girl!